In order to understand each client's career goals, we take the time to interview our clients by phone or in person. During this interview process we are able to uncover valuable information regarding career goals, accomplishments and overall employment experience in order to customize a specialized resume for each client. We have found that during this process many clients rediscover some of their work experience, which may have been forgotten or undervalued. If you select Resumes From Above to design your new resume, then we will schedule a convenient time to discuss your career goals, accomplishments and employment experience. A deposit will be required to initiate your project and final balance will be due upon project completion. For local candidates: proof of copies will be reviewed with client for questions and 1 round of edits. Final payment will be due at that time. Finalized documents will be emailed to client in Word format. For non-local candidates: final payment will be due prior to resume review. Once final payment is received, proof copies will be reviewed with client for questions and 1 round of edits. Finalized documents will be emailed to client in Word format. Your resume is an investment for your future success. 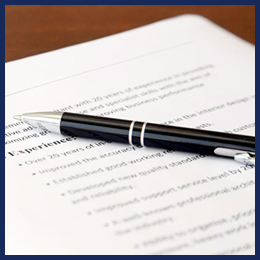 A poorly written resume will cost you time, energy and ultimately money, if it fails to yield results. 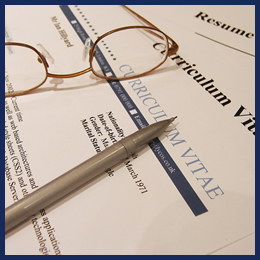 The price to write or update your resume is quoted individually and determined by several factors. Contact us for a quote or call us at 770-898-0152. Is this service tax deductible? You may qualify to deduct job-search expenses on your personal income tax return. This includes resume writing services. Please contact your CPA or qualified tax professional. Contact us for a complimentary, no-obligation resume quote and find out how a professionally written resume can take your career to the next level.